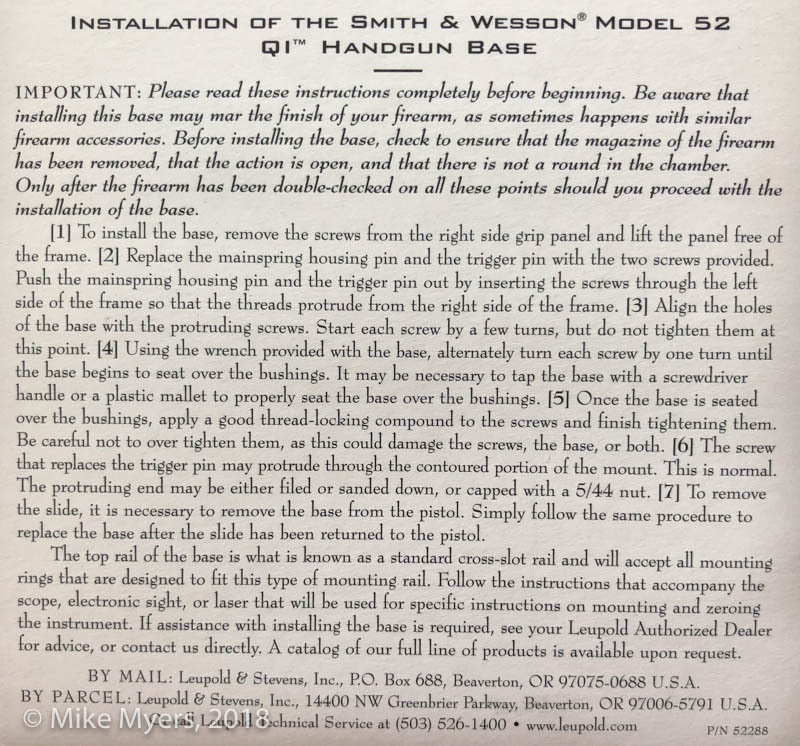 I posted this question on the Smith & Wesson forum and somebody advised me to maybe put it here. 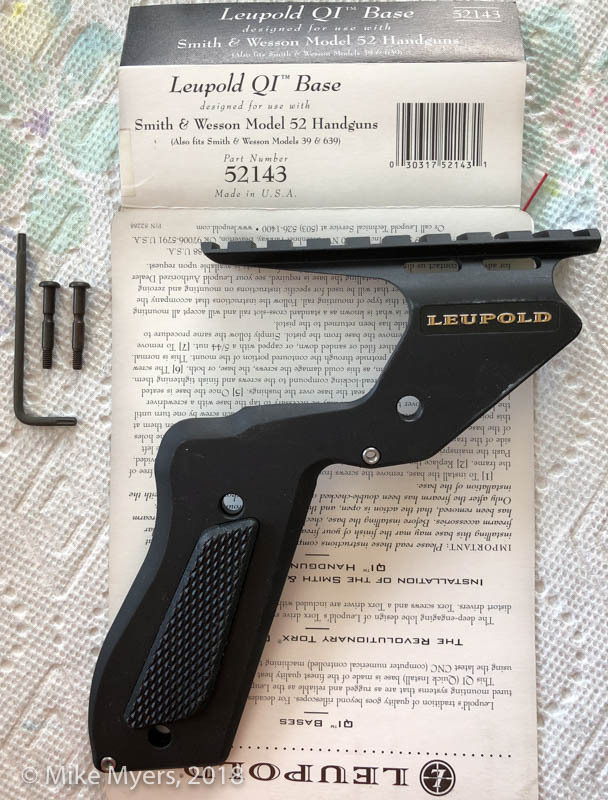 I have a grip Mount from leupold for a Smith & Wesson Model 52, unfortunately all I have is the mount, I do not have the 2 screws that replace pins or screws in the frame. 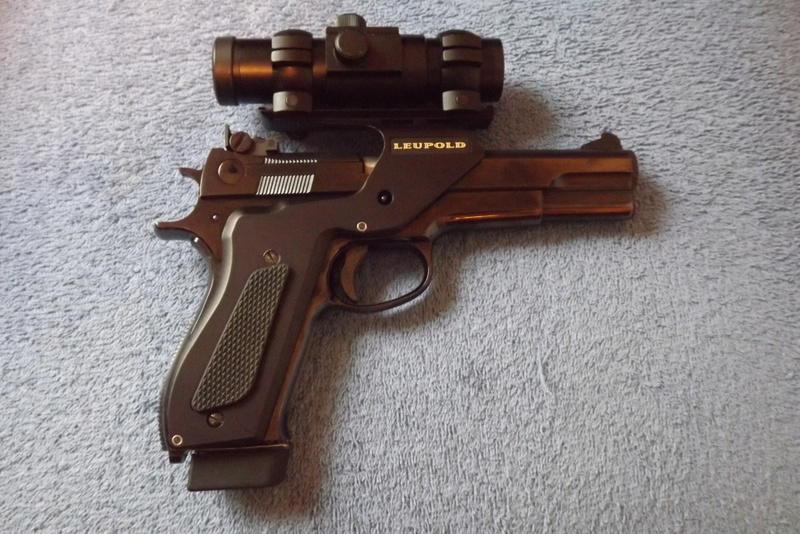 I contacted leupold and they were unable to help at all. Does anybody have any information on what the screws are and where I can possibly come up with a set? They are just pan head screws that are only long enough to barely make it thru the mount. I had mine on for several months and one 900 match. I didn't like the height above the rail and decided to replace it with a BME mount. Imagine my consternation when in that short of time it had removed the finish on the 52 under the mount. I have looked for it here in the shop but can't seem to find where I threw it. Some pictures might be helpful if you don't care to much about what it looks like removed. The screws in question are particular to the mount. If you're not concerned about ruining the finish I may have a pair lying about, but I'd go with the BME mount if I had to have a scope. I would be interested in the screws, if for nothing else but trying the mount. It would also be nice to have the mount complete. I posted a copy of the instructions, but Len pretty much explained everything. 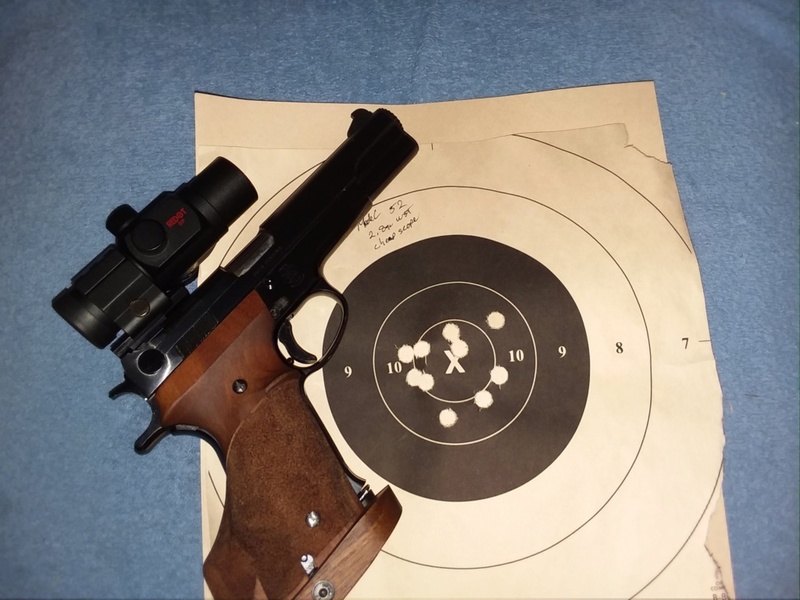 I haven't done anything with the kit since then - I got my cataracts repaired, and I'm now using the stock steel sights. 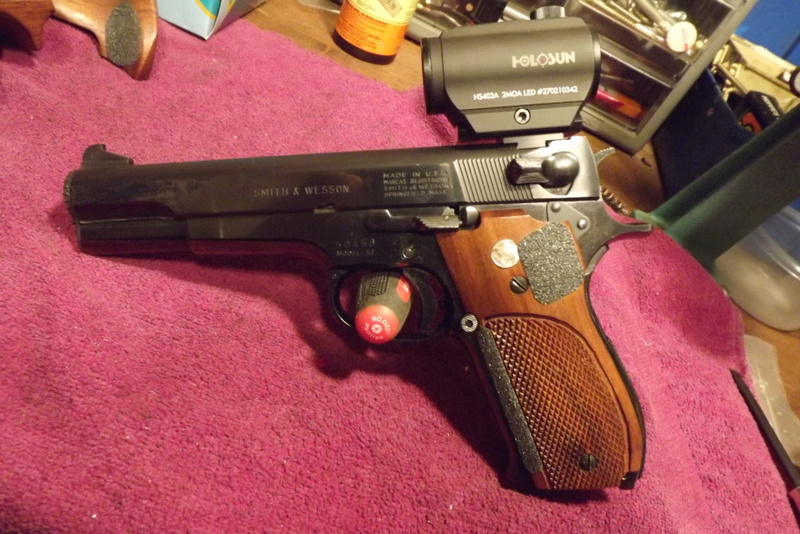 Just in front of my grips (trigger pin) you can see what the Leupold mount did to my 52. 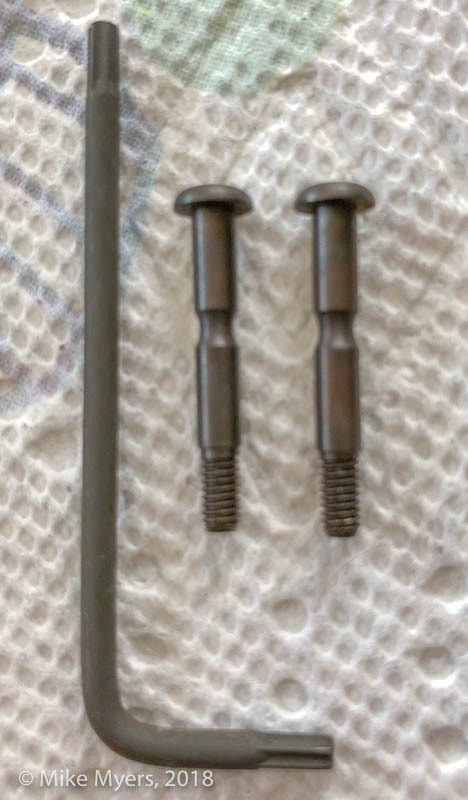 If anybody wants to part with a set of the special screws that replace the pins in the frame, pm me please. I forget how much I paid for the complete kit I got from Opticsplanet, but if you'd like to buy it from me, if I haven't gotten around to installing it in all this time, I doubt I ever will. Or, if you wait a couple of weeks, I can take a photo of the parts, measure the length of the screws, and use a set of calipers to measure the OD of the screws - but unless I can measure the threads with a tool I haven't seen in ages, I don't know how I could do that. I will look around for the tool - it's a "thread gage" (probably a different name), and once you have that information, you can probably buy the screws, maybe McMaster Carr?? 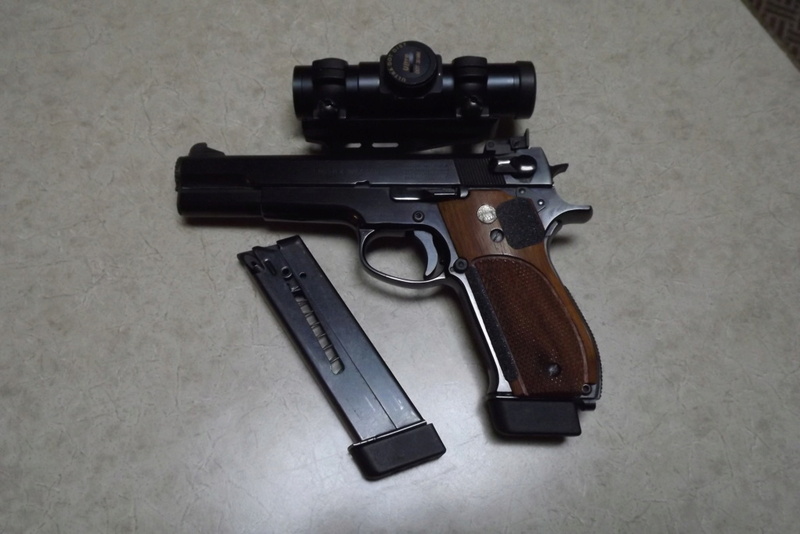 I don't like the idea of wearing away the finish on my M-52, and now that I've had my cataracts repaired, maybe I can still eventually shoot this gun well using the stock sights. Selling you my whole kit is easy - but if I can get you the information on the screws, that would cost you far less. (Actually, I think I now have two complete kits.....). I will try to take photos either today/tomorrow, or in about 10 days when I return. Here is a photo of the kit, and a close up photo of the screws. Sorry, they are specially made for this kit, not standard screws. If I can find my thread gage, I will measure the screws for you.